The chapel is the center of the monastery’s life. 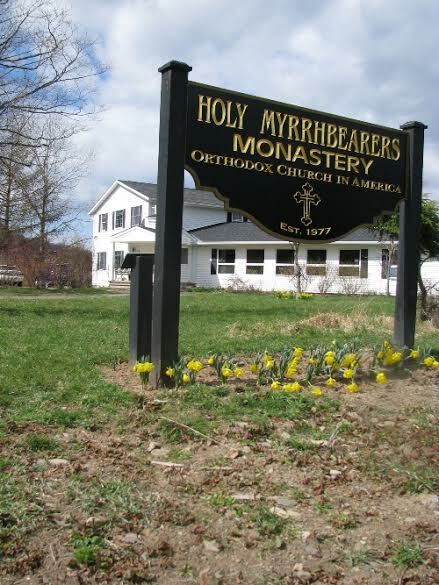 From modest beginnings in 1977, when they celebrated their first Divine Liturgy as a monastic community on the Sunday of the Holy Myrrhbearers, the community has endeavored, with God’s help, to “feel our way into a traditional form of monastic prayer and life within our American setting,” added Mother Raphaela. Initially, the community was housed at the Chancery of the Orthodox Church in America. Eventually it moved to rented quarters near Saint Vladimir’s Seminary, Yonkers, NY, as the nuns solidified their efforts to generate income and purchase property. During this time, the sisters began a mail-order business offering their own original greeting card designs, prayer books and other items. With the more recent addition of liturgical texts to their catalogue, the publishing concern has become an important means of support for the monastery—and a blessing for all the faithful who are enriched by these publications. In 1982, the nuns’ search for a permanent home bore fruit. Through a Pennysaver ad, they located a 144-acre plot in rural central New York state with a farmhouse, two barns, a mobile home, and a pond. By “a series of miracles,” they were able to make a down payment that year – and be mortgage-free by the end of the following year! In 1986, work began on the monastery chapel – with immense amounts of time, materials, labor, and love contributed by many clergy and laypersons from nearby parishes in Herkimer, Watervliet, Binghamton, Wappingers Falls, and elsewhere. These joy-filled “work parties” culminated in the consecration of the chapel. A memorial prayer garden was added through the generosity of friends from Geneva, NY. Subsequently, the community acquired an adjoining piece of property and old mill-house, which they renovated to serve as guest quarters. A set of six magnificent bells, specially cast in Russia, was installed in the mid-1990s. A crowning achievement came in 1998 with the completion of the new monastery, which provides the nuns the silence and privacy needed for the hidden life of a monastic and reception rooms where guests and other pilgrims can find hospitality and opportunities for quiet reflection. 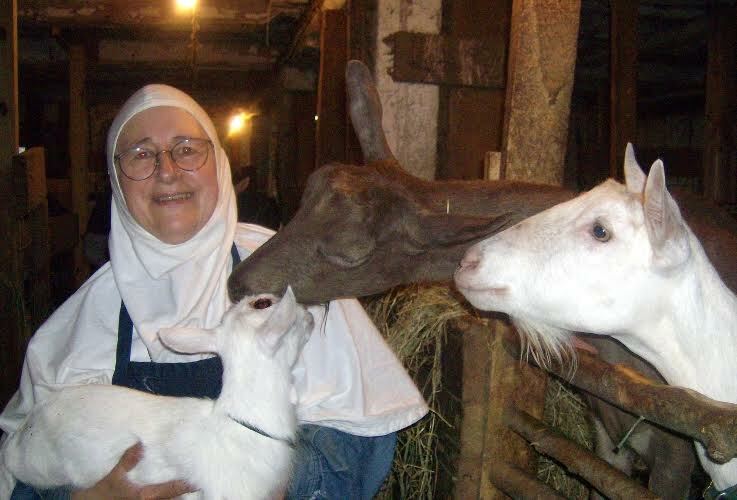 Finding themselves with more room and more sisters joining the community, the nuns continued to develop the farm as an integral part of their life and livelihood. They sell yarn spun from the fine wool of their sheep, prayer ropes and other items made from this yarn, eggs from their chickens and ducks, and goats’ milk and cheese. The monastery always welcomes pilgrims, individuals and groups. The monastic community also publishes a newsletter, Essays and Notes, featuring articles written by the nuns and other authors. Mother Raphaela’s inspiring essays have been collected into three volumes— Living in Christ, Growing in Christ, and Becoming Icons of Christ— all published by St. Vladimir’s Seminary Press. 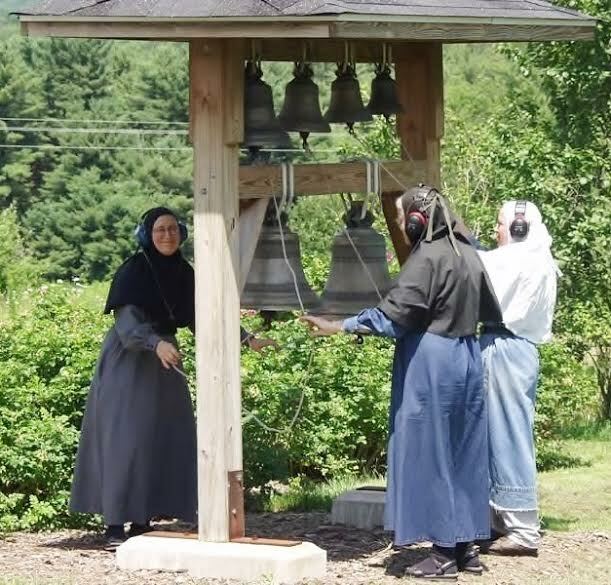 The sisterhood welcomes pilgrims and small groups throughout the year, and many visitors find peace and spiritual healing not only in walking the grounds and participating in the divine services, but in helping with the farming chores – until the majestic peals of monastery’s six bells once again call all to the chapel for prayer. 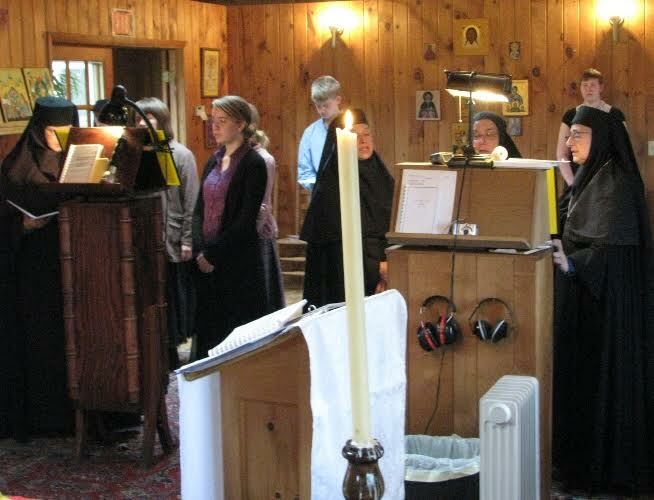 The monastery maintains an extensive web site with detailed information on the community’s life, an on-line shop, and articles on various aspects of Orthodox Christian life.